Zion Williamson has been at the top of college basketball since he first stepped on the court in Duke uniform. Despite being eliminated by Michigan State in this year’s Elite Eight, The Duke Blue Devils basketball squad has had a year for the books thanks to Freshmen Zion Williamson, R.J. Barrett and Cameron Reddish. Zion Williamson has had a historic freshman campaign and is currently predicted to be the #1 overall pick in the NBA Draft. Coming out of Spartanburg Day School in Spartanburg, South Carolina, Zion had gained popularity from his high school highlight reel, showing his ability to score at a high percentage from almost anywhere on the court. His 6’7, 284lb frame struck fear in the eyes of basketball fans everywhere. “If you were to see someone that big coming at you with such speed, would you really want to try and block him,” Sophomore Brennan Wright said. Williamson’s talent transitioned well into college ball, as he won ACC Freshman and Player of the Year, ACC Tournament MVP and the Wayman Tisdale Freshman of the Year Award while averaging 22.6 points, 8.9 rebounds, 2.1 assists, 2.1 steals, and 1.8 blocks per game. The 18-year-old is already being compared to the top talents in the NBA, such as LeBron James. Zion Williamson’s skill set is one of the most impressive in the entire sport of basketball and people are curious about how he will do at the professional level. “I think Zion will be able to play at a high level in the NBA if he develops a consistent jump shot and post game,” Junior James Albin said. In this upcoming draft, The New York Knicks are rumored to draft Zion with their #1 overall selection. Bringing Zion’s talents to New York could have an immediate impact on their record as Zion would be able to get the ball in his hands more often and improve on his weaknesses. 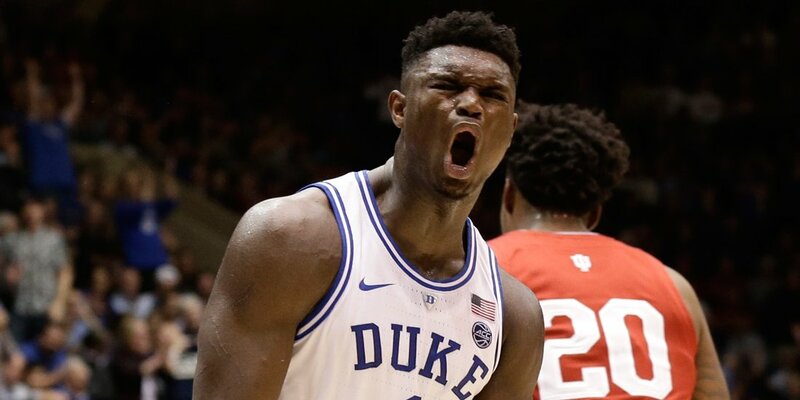 Although Zion has the skills it takes to be successful at the professional level, he has gotten used to dominance, which he will not find right off the bat in the NBA. Williamson’s rookie season is going to teach Zion about being on the opposite side of dominance for seemingly the first time in his basketball career.